DLC, or diamond-like carbon, coatings are thin films that are deposited on other materials in order to provide many of the beneficial properties commonly associated with diamonds, such as hardness, chemical and scratch resistance and lubricity, which minimizes friction. Also, DLC coatings possess both high thermal conductivity and electrical resistivity. The combination of these properties is useful for applications in microelectronics, medical devices, and automotive components. DLC coatings can be used as protective coatings on displays, sensors and flexible semiconductors, where they greatly increase durability and can extend the total life of the final product. DLC coatings are often deposited using a PE-CVD (plasma-enhanced chemical vapor deposition) process. The advantages of PE-CVD are high deposition rates, low substrate temperatures, and highly conformal coatings. Materials with low melting temperatures such as polymers can be deposited with DLC coatings to improve their surface hardness. 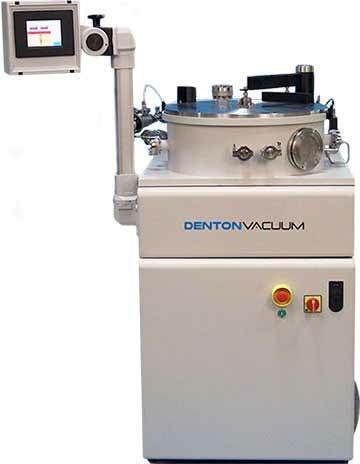 Denton Vacuum has developed several unique equipment configurations. One example is a DLC coating system with the capability of sputtering metal films to deposit metal-doped DLC (Me-DLC) films. The properties of Me-DLC films can be tailored to meet the hardness, electrical resistivity, and wear resistance needs of unique product applications, such as in microelectromechanical systems (MEMS) sensors. The Voyager is a plasma-enhanced chemical vapor deposition (PE-CVD) system that excels by providing best-in-class flexibility, process control, and sputtering options. The Phoenix Magnetron Sputtering system offers high throughput for large volume production, and supports both planar and 3D component processing. This system can accommodate RF, AC, DC and pulsed DC sputtering processes.